The design of Dragon is pretty awesome for a steel coaster that was built in the 80’s. The best part of the ride are the 2 back to back inverted loops. 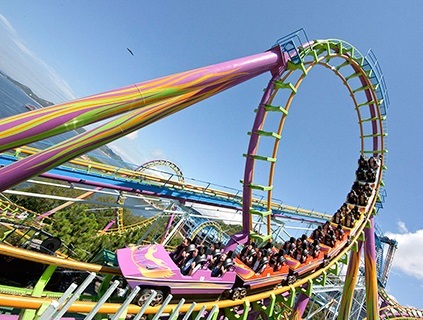 The ride was designed by Arrow Dynamics on an island in China. The color of the coaster has changed several times. 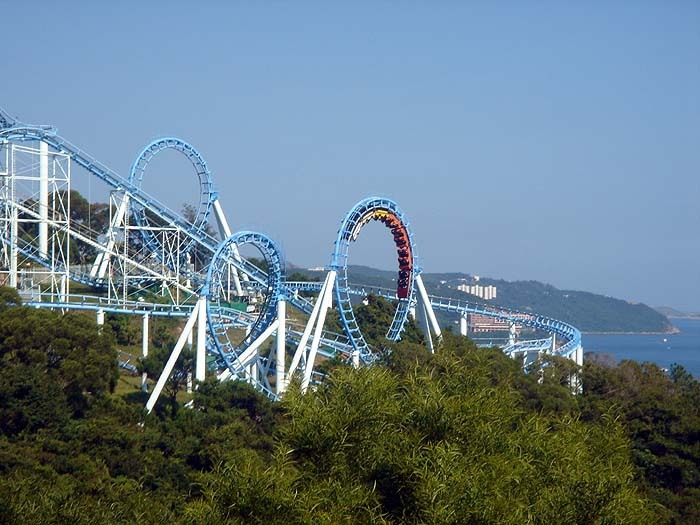 The coaster was all white when it first opened, then was painted blue, and is now a variety of colors.